What Is An Evidentiary Abuse Affidavit? The Evidentiary Abuse Affidavit (E.A.A.) 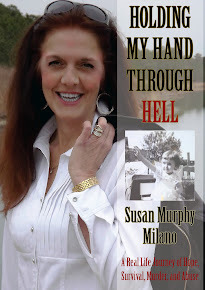 is the mastermind process of violence expert Susan Murphy Milano that combines video taping (of the victims actual words attesting to the abuse) coupled with creative witnessed and notarized legal documents that successfully satisfy legal hurdles often faced in these cases. A unique packaging of testimony, documentation, perpetrator historical profiling, and pre-collected evidence delivered to established safe and legal persons, wrap this delicate issue up for successful prosecution. Born out of the Stacey Peterson case, the E.A.A. was created to insure that the victim’s words about her fears and previous violence will not disappear if she does. Who Should Be Trained To Use This Process? Any person who is likely to have contact with victims of domestic violence and the desire to be a point-of-contact for life saving documentation can be trained.